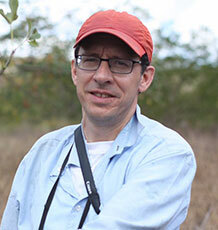 I am a Professor of Physical Geography with specialisms in tropical plant diversity and biogeography. My research and teaching interests are broad, ranging from plant biogeography to palaeoecology to conservation. My background is in the tropics, especially Latin America, where I have worked for more than 20 years across 10 countries. In recent years most of my research has focused on biodiversity, biogeography and ecology of dry biomes in the tropics. Much of my work has had clear implications for conservation and livelihoods, and this continues in new projects with focus on agroforestry and ecosystem restoration in some of the world’s most threatened tropical forests. I have recently (September 2017) joined the University of Exeter from The Royal Botanic Garden Edinburgh where I was Head of Tropical Diversity, responsible for a group of 30 including PhD students, associate researchers and eight core-funded PhD level scientific staff. My research has aimed to address one of the fundamental questions of tropical biology – how and when did the huge species numbers in the tropics arise? It is grounded in fundamental descriptive taxonomic, inventory and phylogenetic research, which provides the foundation to address biogeographic and evolutionary questions. Seasonally dry tropical forests (SDTF) occur as fragments throughout Latin America. They are the world's most threatened tropical forest but receive far less scientific and conservation attention than rain forests. I developed and lead the DRYFLOR network that now brings together more than 70 workers in SDTF floristics and conservation from across Latin America and the Caribbean. DRYFLOR has developed the first comprehensive dataset of the flora of neotropical SDTF across their full range. DRYFLOR’s data are freely available online (www.dryflor.info) and they help to pinpoint priority conservation areas. My research has focused on legumes, the third largest flowering plant family, which has a global distribution and enormous economic importance (e.g., peas, beans, lentils, soy). I have taken a leading role in the Legume Phylogeny Working Group (LPWG) that aims to develop collaborative research towards a comprehensive phylogeny and classification for legumes. Because legume trees dominate the tropical forests and savannas of Africa and the New World, they are an excellent exemplar to investigate key questions of tropical biogeography and diversification. Recent research has demonstrated that historical dispersal, even across major oceans, is a driving force shaping tropical plant distributions and is a key factor controlling the assembly of the world’s richest tree communities in Amazonia. Another theme has been to investigate whether the distinct ecologies of different major vegetation formations (biomes) lead to distinct patterns of biogeography and evolution over evolutionary timescales. Other phylogenetic research addresses how plant defences against herbivores have evolved and how have they influenced species radiations in the tropics. This collaboration with University of Utah, Smithsonian Tropical Research Institute and University of Edinburgh has offered an excellent opportunity to develop expertise in the application of next-generation DNA sequencing to front-line tropical biodiversity problems, and we published one of the first papers on the hybrid-capture technique in plant phylogenetics. An overarching goal is to develop leadership in monitoring of biodiversity, carbon stored in forests, tree growth, and tree mortality in Latin America beyond rain forests and into tropical dry forests. This work is supported by UK (NERC)-Brazil Newton funding and forms a platform for ecological, biogeographic and evolutionary research. Other research aims to address the challenges of conserving and restoring tropical vegetation in a manner that considers the livelihoods of local populations. One project in this area focuses on the legume tree genus Inga, which has fast growth rates, edible fruits and the ability to fix nitrogen, and so has excellent properties for agroforestry systems. This work will be supported by a recently awarded BBSRC GCRF grant, taking advantage of hybrid-capture phylogenetic techniques to pinpoint species with high potential in agroforestry and silvo-pastoral systems. Ultimately, the work aims to enhance emerging agrosystems which integrate sustainable food production with maintenance of ecosystem services, soil fertility and biodiversity across Latin America. £600,000 BBSRC (Global Challenges Research Fund): “Improving agroforestry and silvopastoral systems in Latin America by maximising species and genetic diversity of the multipurpose legume Inga” (PI; 2017). Griffith DM, Lehmann CER, Stromberg CAE, Parr CL, Pennington T, Sankaran M, Ratnam J, Still CJ, Powell RL, Hanan NP, et al (In Press). Comment on “The extent of forest in dryland biomes”. Science Full text. Gomes VHF, IJff SD, Raes N, Amaral IL, Salomão RP, de Souza Coelho L, de Almeida Matos FD, Castilho CV, de Andrade Lima Filho D, López DC, et al (In Press). Species Distribution Modelling: Contrasting presence-only models with plot abundance data. Sci Rep, 8(1). Species distribution models (SDMs) are widely used in ecology and conservation. Presence-only SDMs such as MaxEnt frequently use natural history collections (NHCs) as occurrence data, given their huge numbers and accessibility. NHCs are often spatially biased which may generate inaccuracies in SDMs. Here, we test how the distribution of NHCs and MaxEnt predictions relates to a spatial abundance model, based on a large plot dataset for Amazonian tree species, using inverse distance weighting (IDW). We also propose a new pipeline to deal with inconsistencies in NHCs and to limit the area of occupancy of the species. We found a significant but weak positive relationship between the distribution of NHCs and IDW for 66% of the species. The relationship between SDMs and IDW was also significant but weakly positive for 95% of the species, and sensitivity for both analyses was high. Furthermore, the pipeline removed half of the NHCs records. Presence-only SDM applications should consider this limitation, especially for large biodiversity assessments projects, when they are automatically generated without subsequent checking. Our pipeline provides a conservative estimate of a species' area of occupancy, within an area slightly larger than its extent of occurrence, compatible to e.g. IUCN red list assessments. da Cruz DT, Idarraga A, Banda K, Cogollo A, van den Berg C, de Queiroz L, Pennington T, Lavin M, Cardoso D (2018). Ancient speciation of the papilionoid legume Luetzelburgia jacana, a newly discovered species in an inter-Andean seasonally dry valley of Colombia. Taxon Full text. Pennington T, de Lima HC, Inches F, Watherston N (2018). Andira anthelmia. Curtis Botanical Magazine, 35, 125-133. Full text. Endara M-J, Coley PD, Wiggins NL, Forrister DL, Younkin GC, Nicholls JA, Pennington RT, Dexter KG, Kidner CA, Stone GN, et al (2018). Chemocoding as an identification tool where morphological- and DNA-based methods fall short:. Inga. as a case study. New Phytologist, 218(2), 847-858. Full text. Pennington T, Lavin M, Hughes CE, Lewis GP, Delgado-Salinas A, Duno de Stefano R, de Queiroz LP, Cardoso D, Wojciechowski MF (2018). DNA Sequence Variation among Conspecific Accessions of the Legume Coursetia caribaea Reveals Geographically Localized Clades Here Ranked as Species. Systematic Botany, 43, 664-675. Full text. Dexter KG, Pennington T, Oliveira-Filho AT, Bueno ML, Silva de Miranda PL, Neves D (2018). Inserting Tropical Dry Forests into the Discussion on Biome Transitions in the Tropics. Frontiers in Ecology and Evolution Full text. Bueno ML, Dexter KG, Pennington RT, Pontara V, Neves DM, Ratter JA, de Oliveira-Filho AT (2018). The environmental triangle of the Cerrado Domain: Ecological factors driving shifts in tree species composition between forests and savannas. Journal of Ecology Full text. Endara M-J, Nicholls J, Coley PD, Forrister DL, Younkin GC, Dexter KG, Kidner CA, Pennington T, Stone G, Kursar TA, et al (2018). Tracking of host defenses and phylogeny during the radiation of neotropical Inga-feeding sawflies. Frontiers in Plant Science Full text. Pennington RT, Lehmann CER, Rowland LM (2018). Tropical savannas and dry forests. Current Biology, 28(9), R541-R545. © 2018 Elsevier Ltd in the tropics, research, conservation and public attention focus on rain forests, but this neglects that half of the global tropics have a seasonally dry climate. These regions are home to dry forests and savannas (Figures 1 and 2), and are the focus of this Primer. The attention given to rain forests is understandable. Their high species diversity, sheer stature and luxuriance thrill biologists today as much as they did the first explorers in the Age of Discovery. Although dry forest and savanna may make less of a first impression, they support a fascinating diversity of plant strategies to cope with stress and disturbance including fire, drought and herbivory. Savannas played a fundamental role in human evolution, and across Africa and India they support iconic megafauna. Pennington et al. introduce seasonally dry biomes in the tropics – savannahs and dry forests. Silva de Miranda P, Oliveira Filho A, Pennington T, Neves D, Baker T, Dexter KG (2018). Using tree species inventories to map biomes and assess their climatic overlaps in lowland tropical South America. Global Ecology and Biogeography, 27, 899-912. Full text. Pennington RT, Quintana C, Ulloa Ulloa C, Balslev H (2017). BIOGEOGRAPHIC BARRIERS IN THE ANDES: IS THE AMOTAPE – HUANCABAMBA ZONE a DISPERSAL BARRIER FOR DRY FOREST PLANTS?. Annals of the Missouri Botanical Garden, 102, 542-550. Full text. Endara M-J, Coley PD, Ghabash G, Nicholls JA, Dexter KG, Donoso DA, Stone GN, Pennington RT, Kursar TA (2017). Coevolutionary arms race versus host defense chase in a tropical herbivore–plant system. Proceedings of the National Academy of Sciences, 114(36), E7499-E7505. Full text. Dexter KG, Lavin M, Torke BM, Twyford AD, Kursar TA, Coley PD, Drake C, Hollands R, Pennington RT (2017). Dispersal assembly of rain forest tree communities across the Amazon basin. Proceedings of the National Academy of Sciences, 114(10), 2645-2650. Full text. Toby Pennington R, Lavin M (2017). Dispersal, isolation and diversification with continued gene flow in an Andean tropical dry forest. Mol Ecol, 26(13), 3327-3329. Dispersal, isolation and diversification with continued gene flow in an Andean tropical dry forest. The Andes are the world's longest mountain chain, and the tropical Andes are the world's richest biodiversity hot spot. The origin of the tropical Andean cordillera is relatively recent because the elevation of the mountains was relatively low (400-2500 m palaeoelevations) only 10 MYA with final uplift being rapid. These final phases of the Andean orogeny are thought to have had a fundamental role in shaping processes of biotic diversification and biogeography, with these effects reaching far from the mountains themselves by changing the course of rivers and deposition of mineral-rich Andean sediments across the massive Amazon basin. In a recent issue of Molecular Ecology, Oswald, Overcast, Mauck, Andersen, and Smith (2017) investigate the biogeography and diversification of bird species in the Andes of Peru and Ecuador. Their study is novel in its focus on tropical dry forests (Figure 1) rather than more mesic biomes such as rain forests, cloud forests and paramos, which tend to be the focus of science and conservation in the Andean hot spot. It is also able to draw powerful conclusions via the first deployment of genomic approaches to a biogeographic question in the threatened dry forests of the New World. DRYFLOR, Pennington RT, Banda-R K, Delgado-Salinas A, Dexter KG, Linares-Palomino R, Olivera-Filho A, Prado D, Quintana C, Riina R, et al (2017). Forest conservation: Humans' handprints—Response. Science, 355(6324), 467-467. Full text. DRYFLOR, Pennington RT, Banda-R K, Delgado-Salinas A, Dexter KG, Galetti L, Linares-Palomino R, Maturo HM, Mogni V, Oakley L, et al (2017). Forest conservation: Remember Gran Chaco—Response. Science, 355(6324), 465.2-466. Full text. Gómez-Gutiérrez MC, Pennington RT, Neaves LE, Milne RI, Madriñán S, Richardson JE (2017). Genetic diversity in the Andes: variation within and between the South American species of Oreobolus R. Br. (Cyperaceae). Alpine Botany, 127(2), 155-170. Full text. Baker TR, Pennington RT, Dexter KG, Fine PV, Fortune-Hopkins H, Honorio EN, Huamantupa-Chuquimaco I, Klitgård BB, Lewis GP, de Lima HC, et al (2017). Maximising Synergy among Tropical Plant Systematists, Ecologists, and Evolutionary Biologists. Trends in Ecology & Evolution, 32(4), 258-267. Full text. Heckenhauer J, Abu Salim K, Chase MW, Dexter KG, Pennington RT, Tan S, Kaye ME, Samuel R (2017). Plant DNA barcodes and assessment of phylogenetic community structure of a tropical mixed dipterocarp forest in Brunei Darussalam (Borneo). PLOS ONE, 12(10), e0185861-e0185861. Full text. Dunning LT, Liabot A-L, Olofsson JK, Smith EK, Vorontsova MS, Besnard G, Simpson KJ, Lundgren MR, Addicott E, Gallagher RV, et al (2017). The recent and rapid spread of. Themeda triandra. Botany Letters, 164(4), 327-337. Full text. Banda-R K, Delgado-Salinas A, Dexter KG, Linares-Palomino R, Oliveira-Filho A, Prado D, Pullan M, Quintana C, Riina R, Rodriguez M. GM, et al (2016). Plant diversity patterns in neotropical dry forests and their conservation implications. Science, 353(6306), 1383-1387. Full text. Baker TR, Pennington RT, Magallon S, Gloor E, Laurance WF, Alexiades M, Alvarez E, Araujo A, Arets EJMM, Aymard G, et al (2014). Fast demographic traits promote high diversification rates of Amazonian trees. Ecol Lett, 17(5), 527-536. Fast demographic traits promote high diversification rates of Amazonian trees. The Amazon rain forest sustains the world's highest tree diversity, but it remains unclear why some clades of trees are hyperdiverse, whereas others are not. Using dated phylogenies, estimates of current species richness and trait and demographic data from a large network of forest plots, we show that fast demographic traits--short turnover times--are associated with high diversification rates across 51 clades of canopy trees. This relationship is robust to assuming that diversification rates are either constant or decline over time, and occurs in a wide range of Neotropical tree lineages. This finding reveals the crucial role of intrinsic, ecological variation among clades for understanding the origin of the remarkable diversity of Amazonian trees and forests. Barlow J, Ewers RM, Anderson L, Aragao LEOC, Baker TR, Boyd E, Feldpausch TR, Gloor E, Hall A, Malhi Y, et al (2011). Using learning networks to understand complex systems: a case study of biological, geophysical and social research in the Amazon. Biol Rev Camb Philos Soc, 86(2), 457-474. Using learning networks to understand complex systems: a case study of biological, geophysical and social research in the Amazon. Developing high-quality scientific research will be most effective if research communities with diverse skills and interests are able to share information and knowledge, are aware of the major challenges across disciplines, and can exploit economies of scale to provide robust answers and better inform policy. We evaluate opportunities and challenges facing the development of a more interactive research environment by developing an interdisciplinary synthesis of research on a single geographic region. We focus on the Amazon as it is of enormous regional and global environmental importance and faces a highly uncertain future. To take stock of existing knowledge and provide a framework for analysis we present a set of mini-reviews from fourteen different areas of research, encompassing taxonomy, biodiversity, biogeography, vegetation dynamics, landscape ecology, earth-atmosphere interactions, ecosystem processes, fire, deforestation dynamics, hydrology, hunting, conservation planning, livelihoods, and payments for ecosystem services. Each review highlights the current state of knowledge and identifies research priorities, including major challenges and opportunities. We show that while substantial progress is being made across many areas of scientific research, our understanding of specific issues is often dependent on knowledge from other disciplines. Accelerating the acquisition of reliable and contextualized knowledge about the fate of complex pristine and modified ecosystems is partly dependent on our ability to exploit economies of scale in shared resources and technical expertise, recognise and make explicit interconnections and feedbacks among sub-disciplines, increase the temporal and spatial scale of existing studies, and improve the dissemination of scientific findings to policy makers and society at large. Enhancing interaction among research efforts is vital if we are to make the most of limited funds and overcome the challenges posed by addressing large-scale interdisciplinary questions. Bringing together a diverse scientific community with a single geographic focus can help increase awareness of research questions both within and among disciplines, and reveal the opportunities that may exist for advancing acquisition of reliable knowledge. This approach could be useful for a variety of globally important scientific questions. Animated film to raise awareness of tropical dry forest (http://www.dryflor.info/page/movies), which has received > 40,000 youtube views, exceptional for a scientific film, and which was selected for screening at a series of international environmental film festivals in Europe and Latin America. Dr Danilo Neves (NERC PDRA 2012-2015): Niche evolution of South American trees.